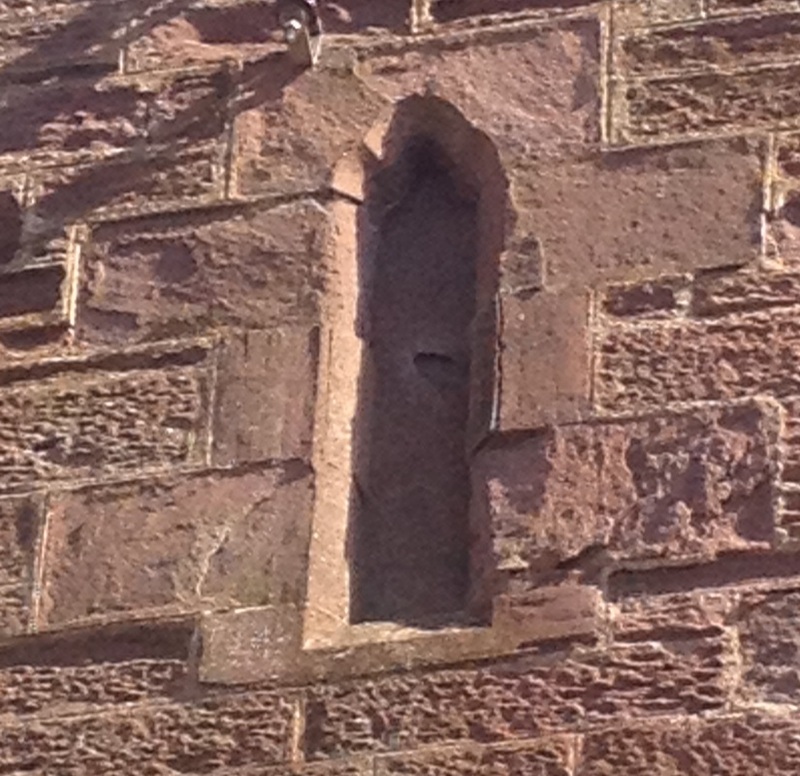 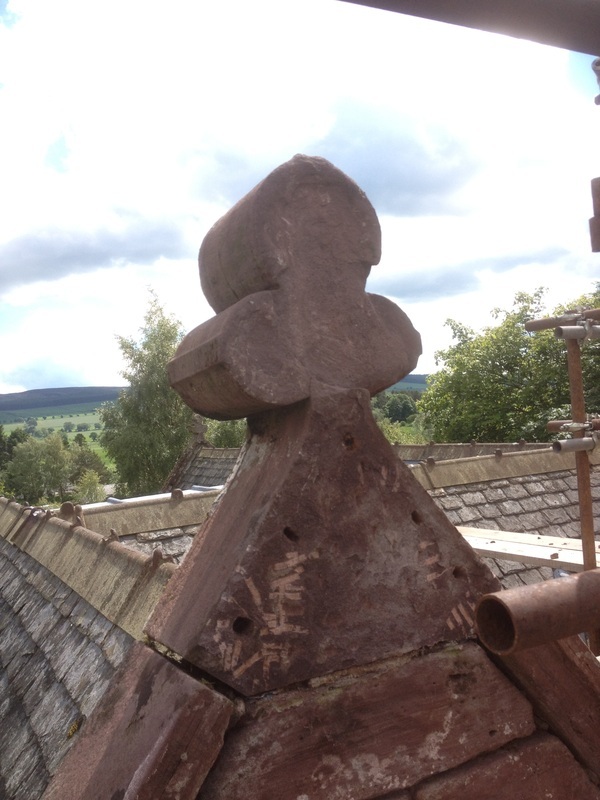 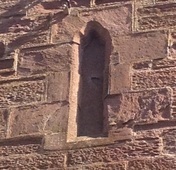 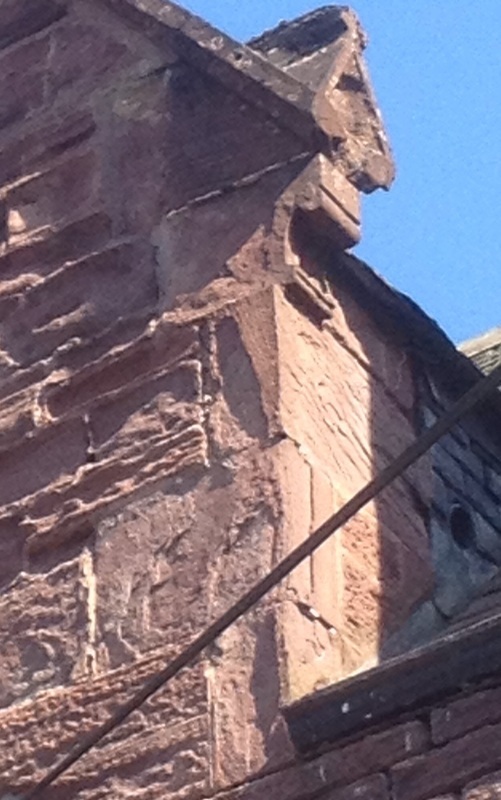 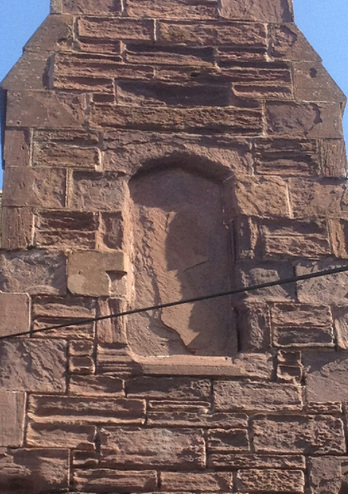 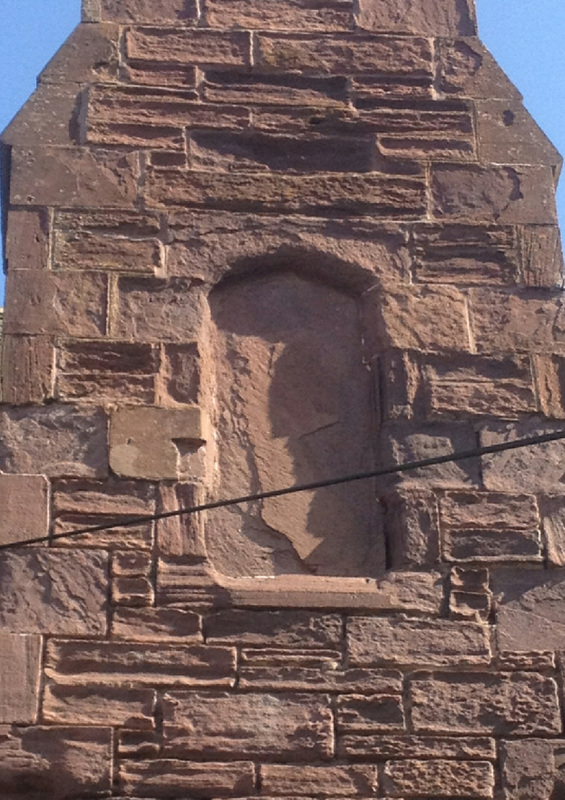 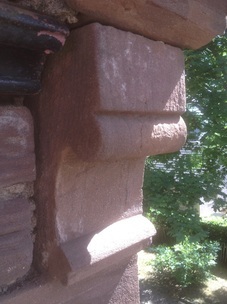 The above stone finial had lost a large amount of its face. 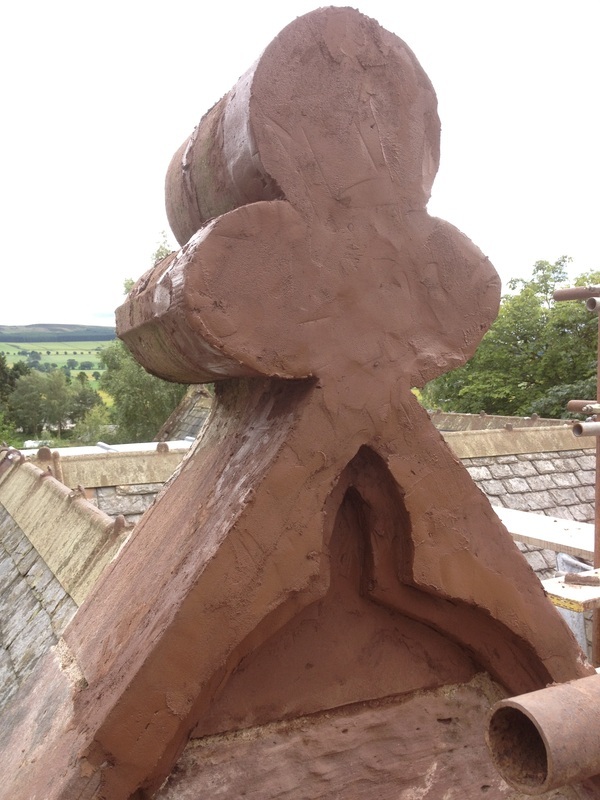 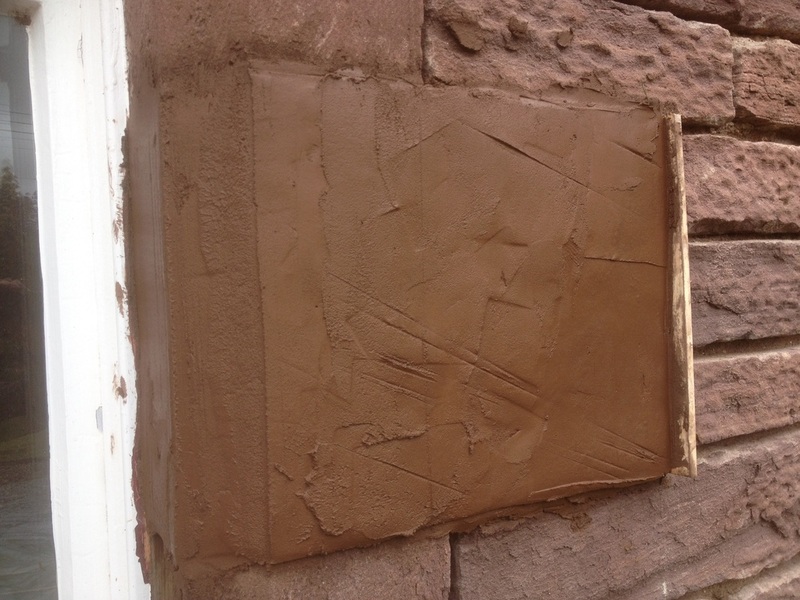 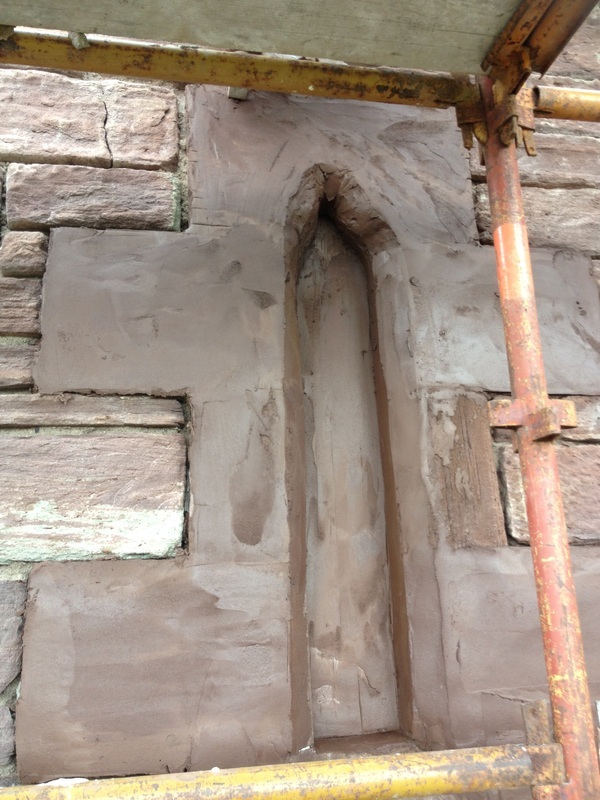 After pinning it with steel rods and building out in Hourdex, a lime based first coat mortar, it was coated in Lithomex and tooled. 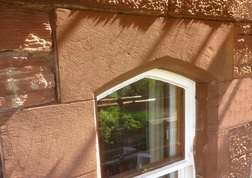 The above blocked, trefoiled, lancet window had lost all its surface definition. 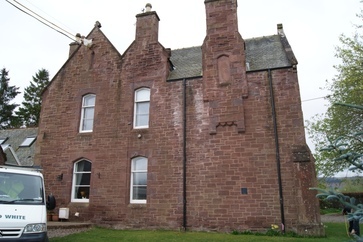 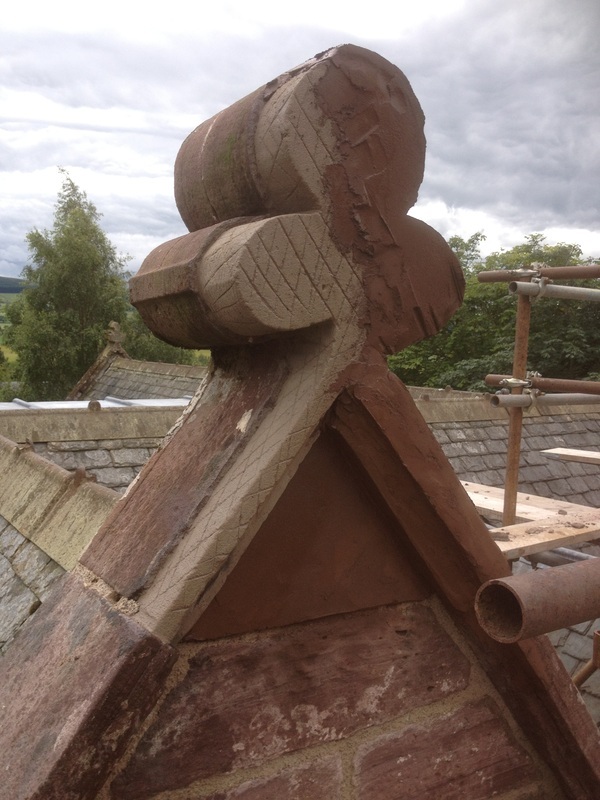 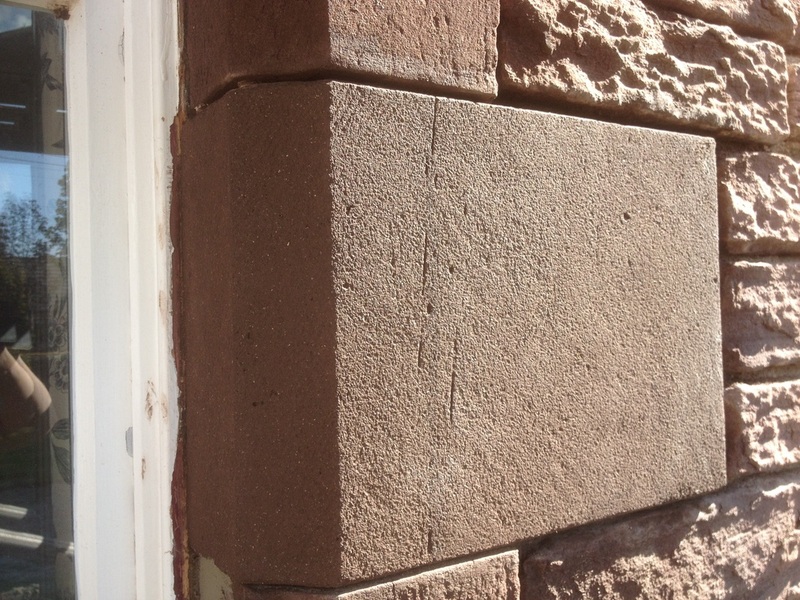 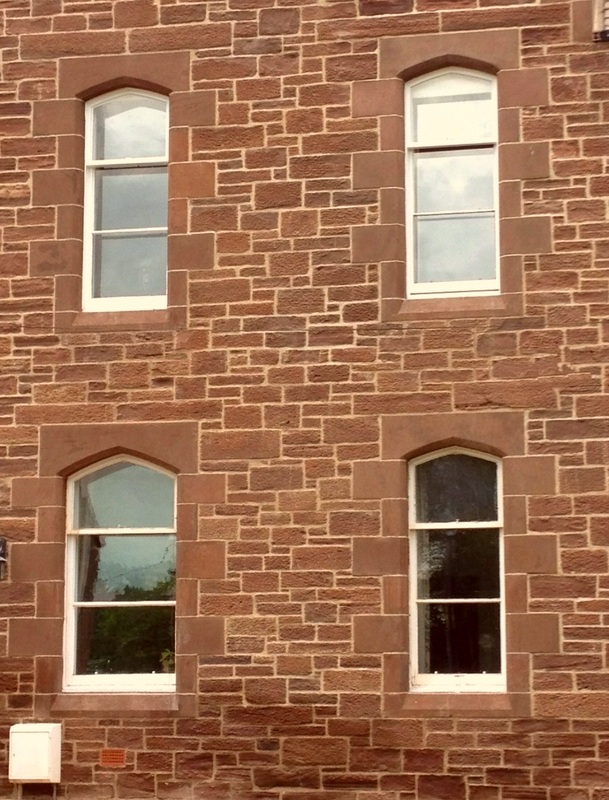 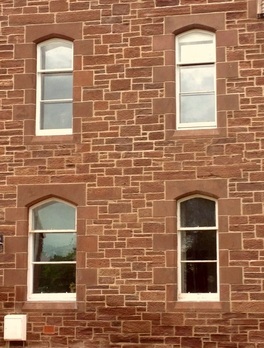 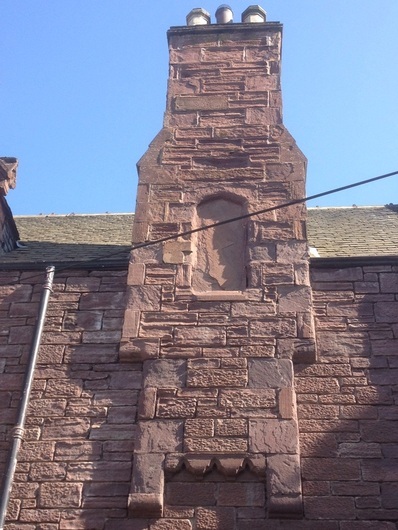 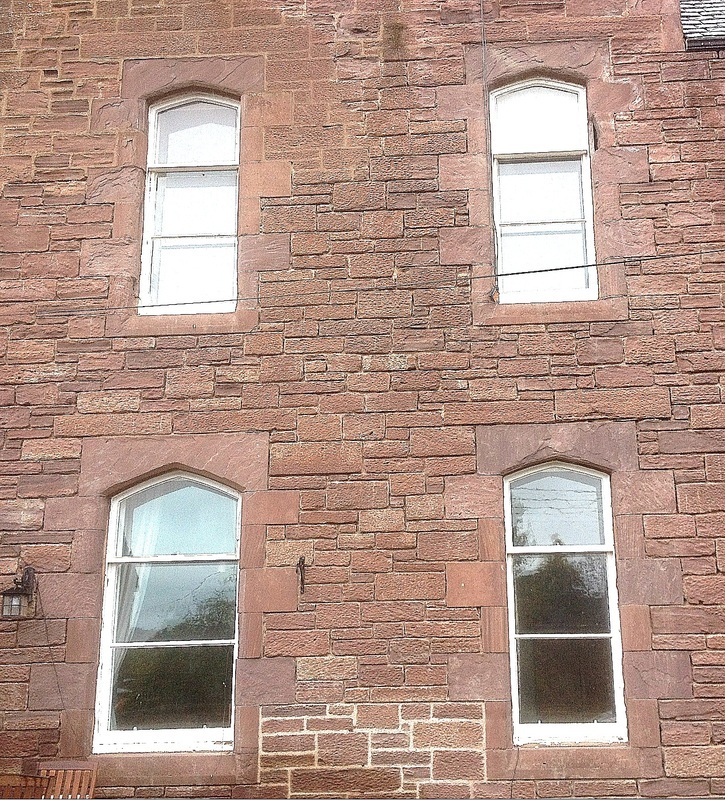 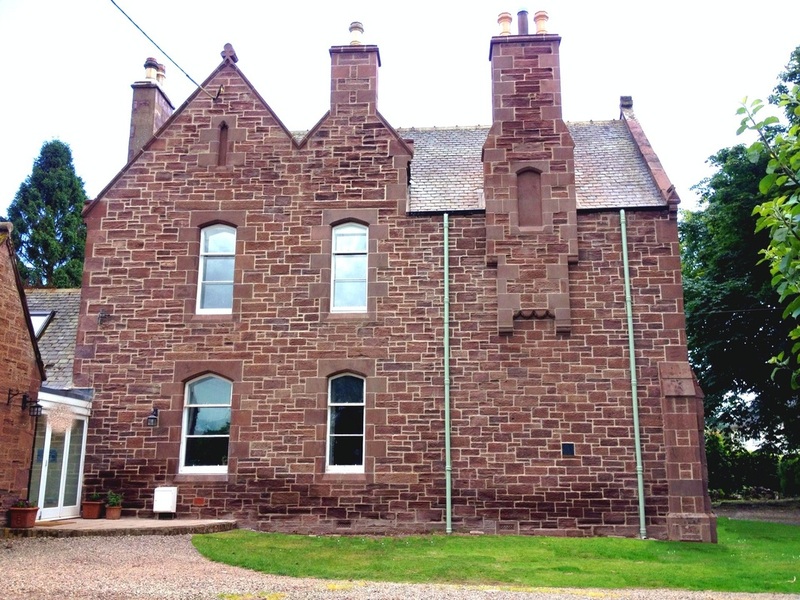 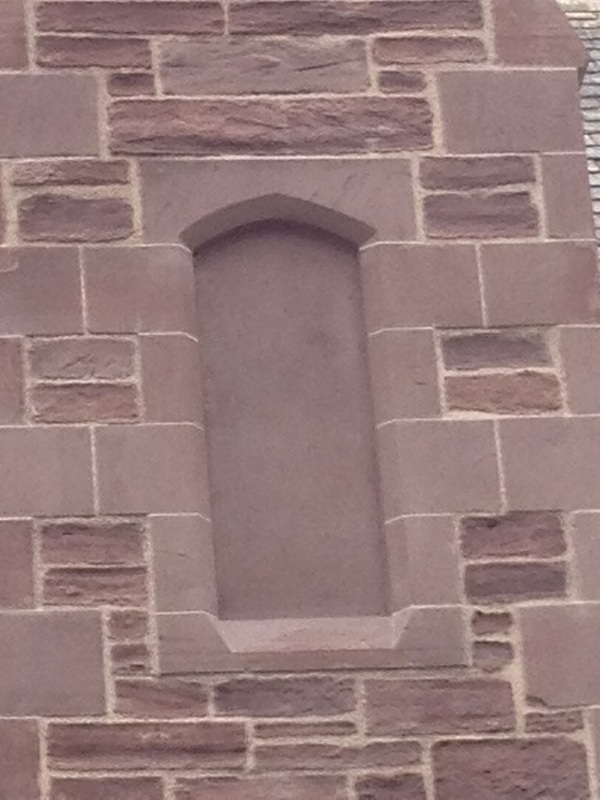 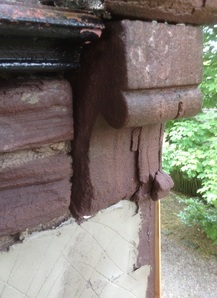 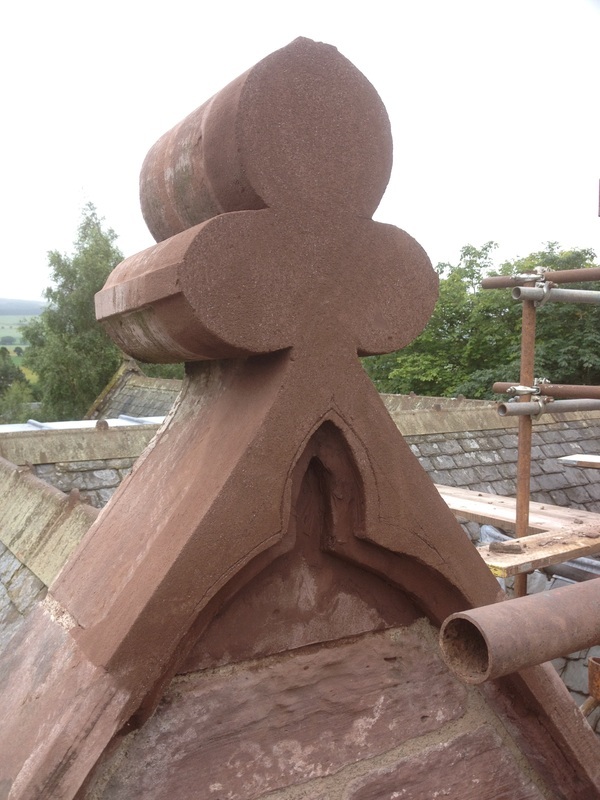 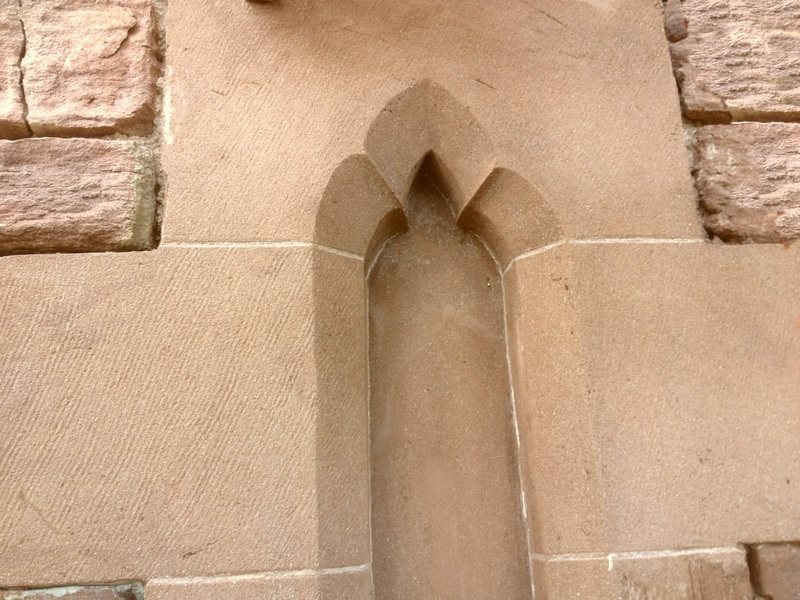 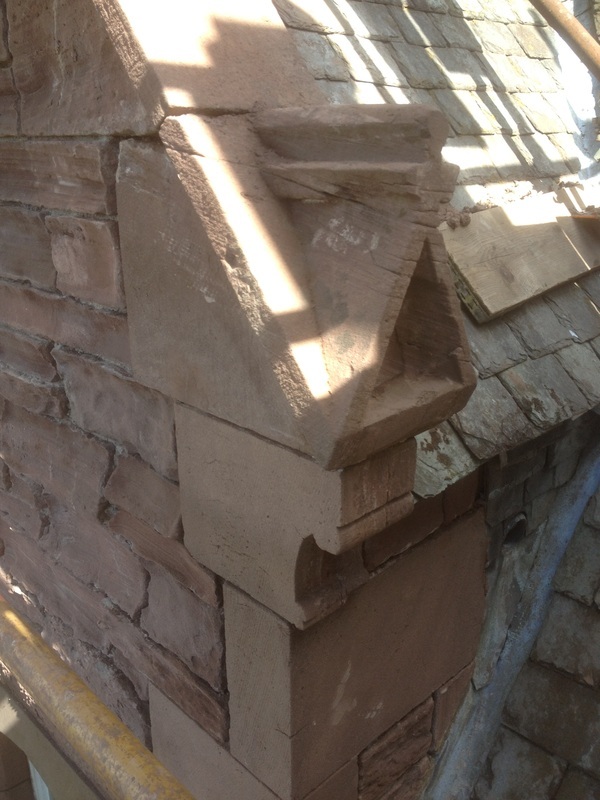 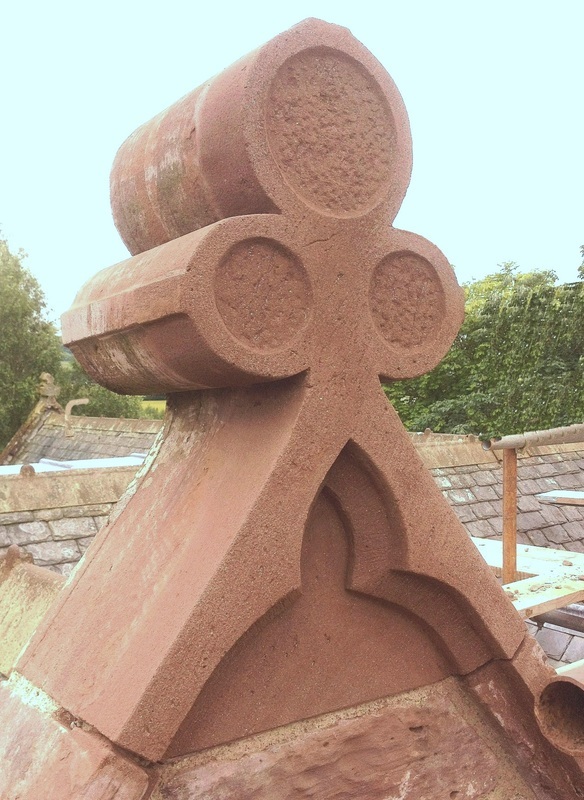 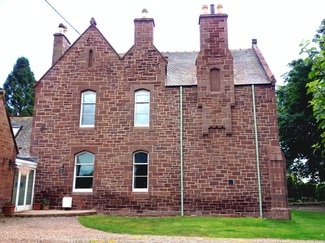 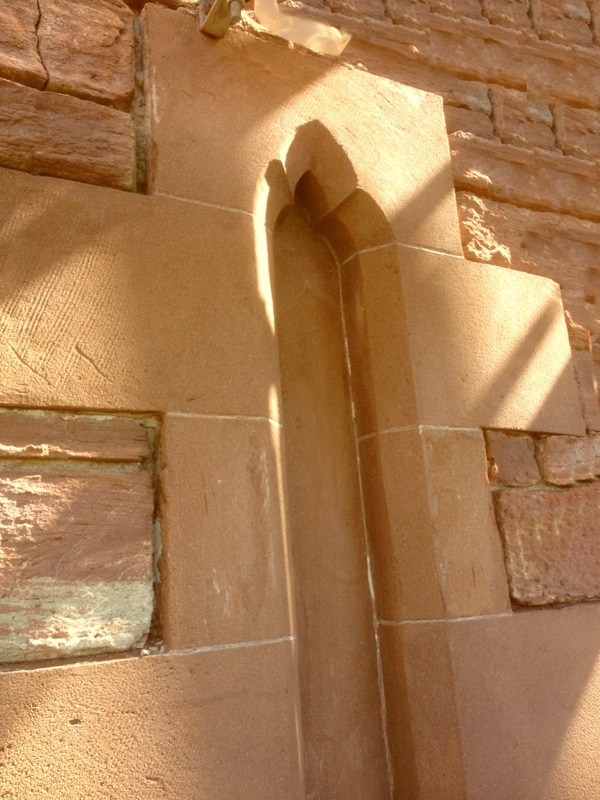 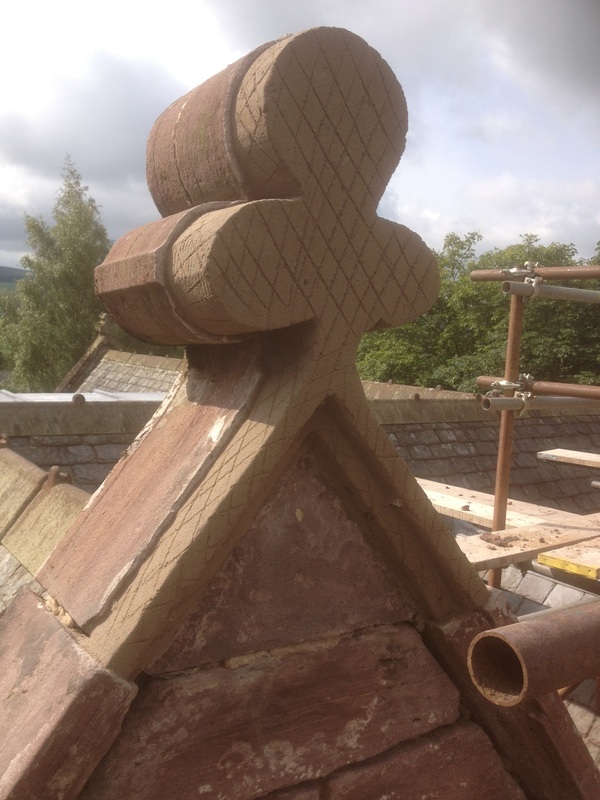 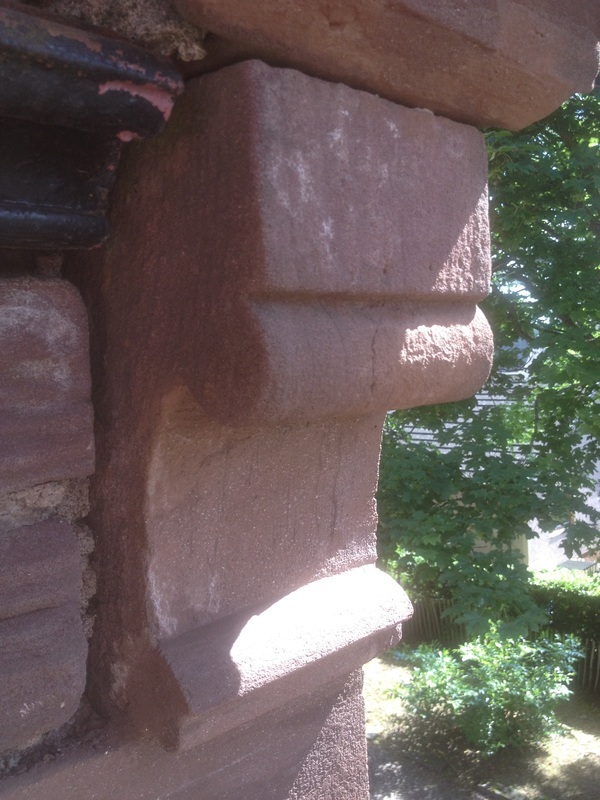 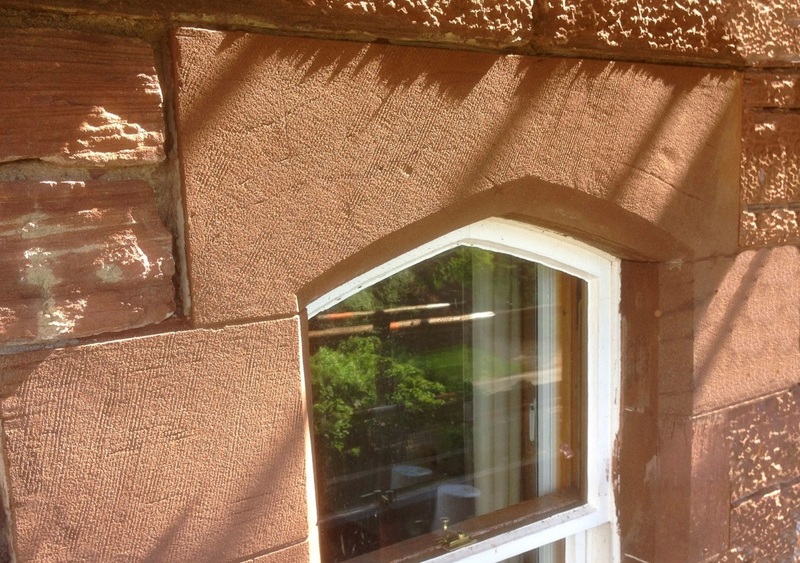 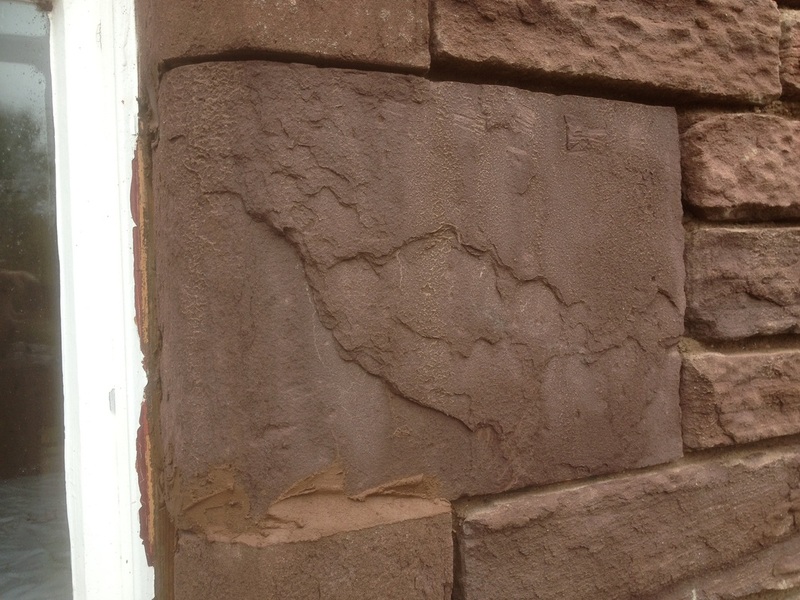 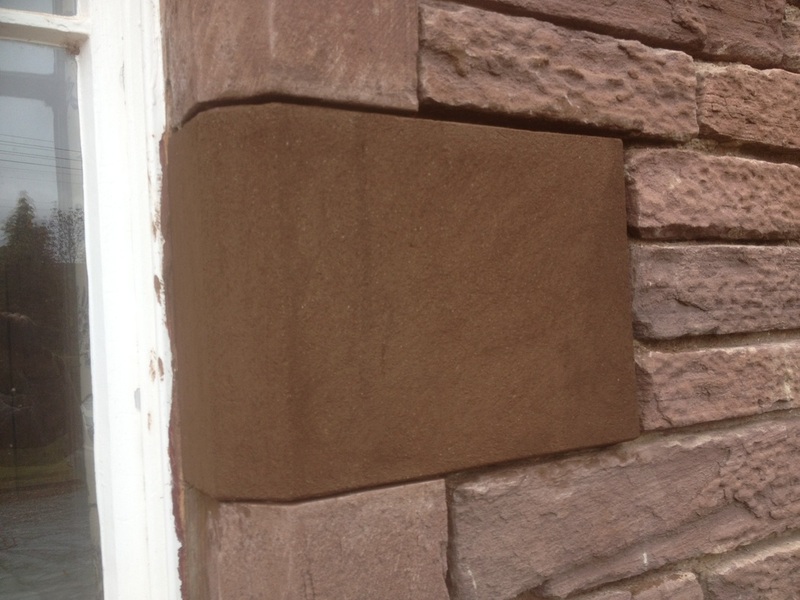 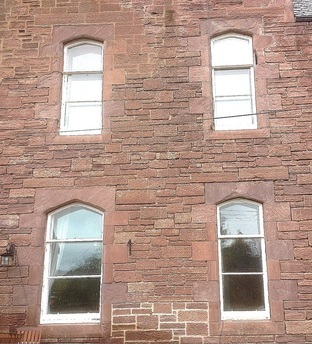 After all loose stonework was removed, colour matched lithomex was applied liberally. 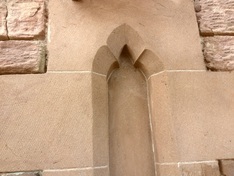 As it started to cure the shape was carved out and eventually tooled.